nmbr™ is there when you need it, and virtually invisible when you don't. That is – your trackpad is still a track pad no matter what. Designed as a beautiful and simplistic overlay, simply place the nmbr™ keypad on your trackpad and let the algorithm in the accompanying app do the magic. The nmbr™ Keypad was created to make your life easier when inputting data into your important documents and programs; however, we wanted to do more than that. 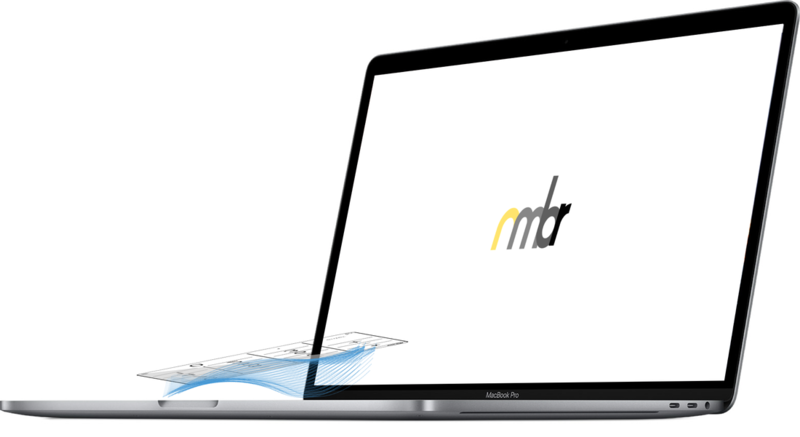 With nmbr™, using single and multi-touch gestures allows you to access your favorite apps and websites faster than ever, making sure you spend less time clicking and more time being productive. 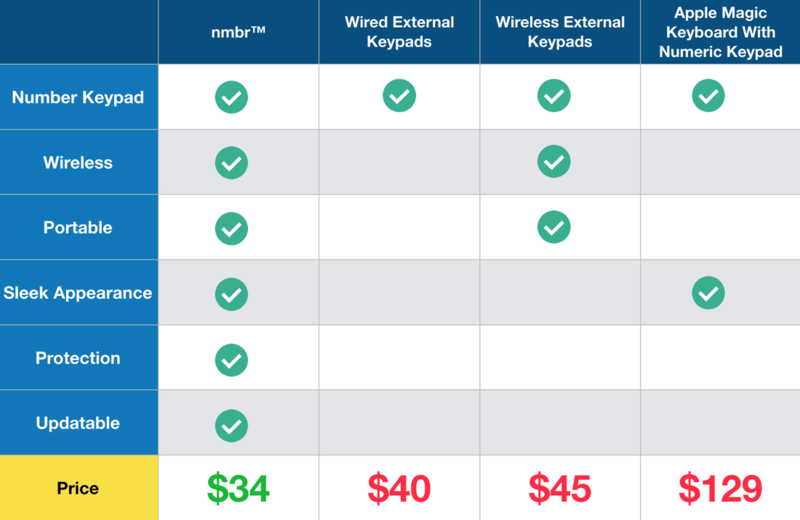 The nmbr™ keypad gives you more than any traditional keypad could. 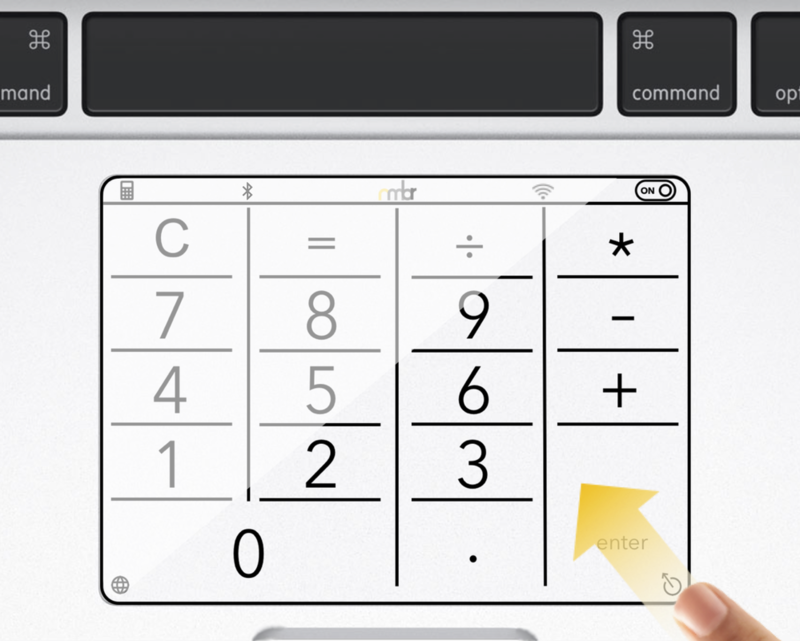 Use gestures to launch the calculator or swipe from either of the bottom corners to go to your favorite website. 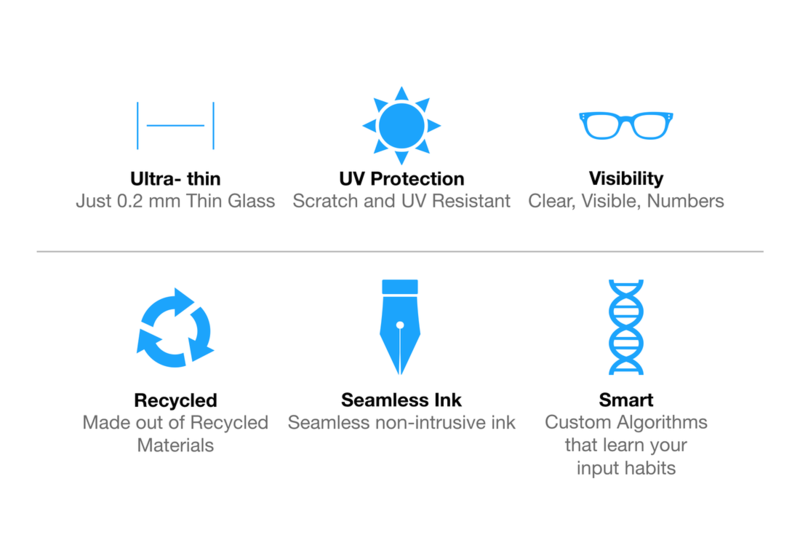 Your trackpad is the most touched surface on your MacBook. The nmbr™ keypad keeps your trackpad clean from dust, food, drink and debris. Made out of crystal clear PET, the nmbr™ Keypad is great for all users; even those of us who don't really crunch numbers on the daily. nmbr™ is jam packed with features that can help make your laptop smarter, more powerful, and more workflow efficient. With gestures, nmbr™ takes your mouse movements to a whole other level. Swipe up and inwards from the bottom right corner to quickly rocket to your favorite website. 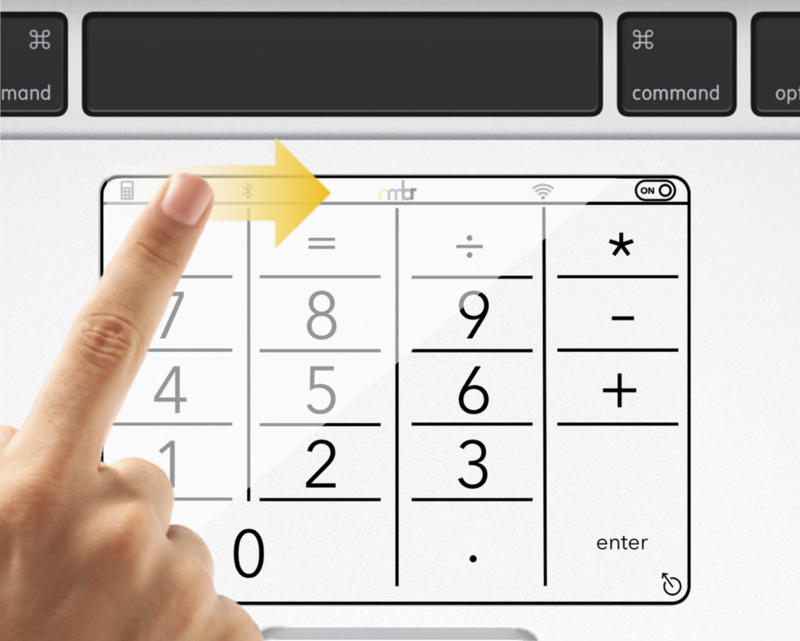 Program up to 9 different websites designated to each digit on the keypad. Once your finger is over the website you want to go to, simply lift and you're off towards the wonders of the web. The nmbr™ keypad is feature packed. In addition to it's keypad functionality, nmbr™ also allows you to quickly backspace, tab, and toggle your computer radios with quick and simple gestures. 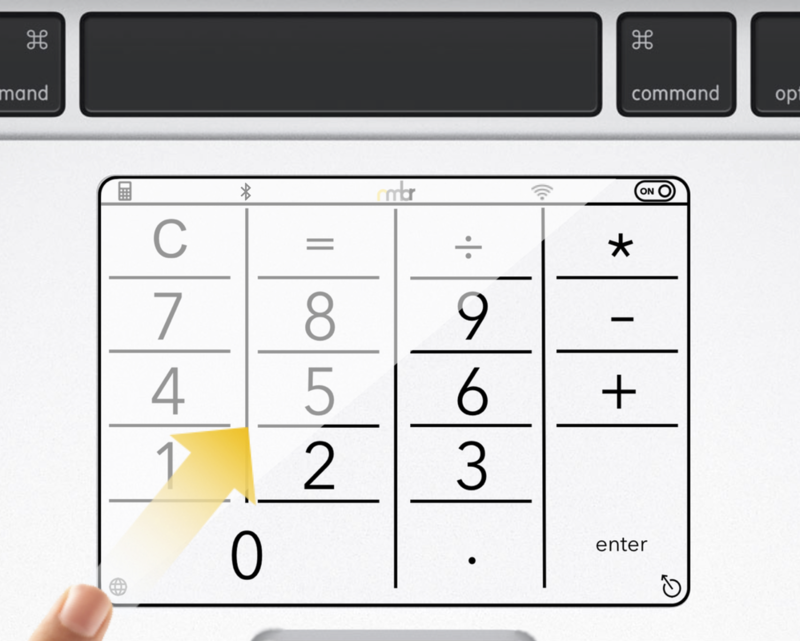 Swipe with three fingers to the left in order to backspace – it'll even backspace incorrect calculator input. After installing your nmbr™ keypad, download the free companion app from here. Install it and enter the serial number that was included inside your nmbr™ package. Remember to keep this serial number in a safe place incase you get a new computer or would like to apply nmbr™ elsewhere. * Reapplying the nmbr™ keypad to another computer requires deactivation of the software from the initial computer. You must then enter the serial number on the new computer. You may not have the software activated on two different computers without purchasing two different serial numbers. nmbr™ | more than a keypad.